The Basement Conversion London teams create underground masterpieces. Structural Engineers, Surveyors and Architects work alongside the Basement Conversion Specialist teams giving you total piece of mind in knowing that the very best methods and building practices go into every new Basement by Builders GB. Builders GB is the only Specialist Structural Design and Build company in London. This gives us an advantage over other companies as we work in a very different way. Our process includes a Structural Report that gives us information and precise guides on a homes strengths and weaknesses. Any area that is weak is strengthened and updated before we commence work. We build strong and long lasting structures that help the home with the right supports in the right locations. At Builders GB we check every last detail making sure that your new London Basement Conversion is built with all safety measures in place whilst incorporating the latest products and the highest quality materials. We Guarantee every new Basement Conversion in London for 10 Years and also provide a very unique After Care package that covers your home after we have finished building. Many checks are carried out before construction commences. The condition of your homes structure is analysed and tests of the soil and other elements beneath the ground of your home are carried out. 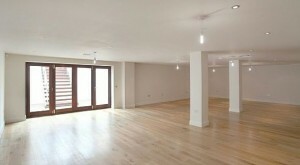 All London Basement Conversion projects are overseen by the specialist Basement Construction Engineers. Checks are carried out to make sure that any underpinning and reinforcements to the foundations of your home are carried out correctly and safely. They make sure that all the steel work and support installations are positioned and installed as per the Structural Engineers and Architects calculations, designs and drawings. The Waterproofing is important in every new Basement. Products used include the very best high quality cavity membranes that wrap entirely around your Basement Conversion. The membrane keep the Basement dry from any water penetration and protect the structure of your property from unnecessary pressure. Water that comes below ground level is cleverly pumped straight into drains above the Basement level. Surprisingly, mess is minimal when converting a basement as access is required from the outside of the property until the work is almost finished. Dirt conveyors are used to transport soil into skips keeping your home free from any dirt so you can get on with your daily routines without being inconvenienced.